Our flight was complimentary, thanks to WestJet Airlines. Westjet’s VP happened to pick my husband’s business card out of a bowl at a conference and it won us two tickets anywhere WestJet flies (except Hawaii). After much discussion, we chose Montréal. Why? Because of our affection for this city. I was born and raised in Montreal. Later, I completed a degree at Montreal’s Concordia University. Even though I’m biased, I think most Canadians would agree that Montréal is one of Canada’s BEST cities to visit. “Les Montréalais” are truly special. They have the best fashion sense in the country, particularly the women, who always dress with a “je ne sais quoi” appeal. Les Montréalais are also known for their “joie de vivre”. You’ll find plenty of it especially at the city’s major events like Just for Laughs , North America’s largest comedy festival or the Grand Prix Montréal. The city’s biggest annual party though is the Montréal Jazz Festival. Montrealers have a love affair with their delis. Two of the best are Schwartz’s and The Main. They sit right across the street from one and other on Boulevard St. Laurent and both are famous for their smoked meat sandwiches and fries washed down with cherry cokes. Fresh bagels are another passion. St. Viateur and Fairmount Bagel run 24-7. For many Montrealers, a Friday or Saturday night would not be complete without a stop for a dozen of these hot out of a wood-burning oven. Then there’s the Montreal Pool Room‘s hotdogs. Don’t ask me why but they taste better here than anywhere else. Van Houtte coffee is Montreal’s answer to Starbucks. But Montreal cafés don’t need a brand name to be popular, they just need an outdoor patio. People-watching is, after all, a main activity in this town. 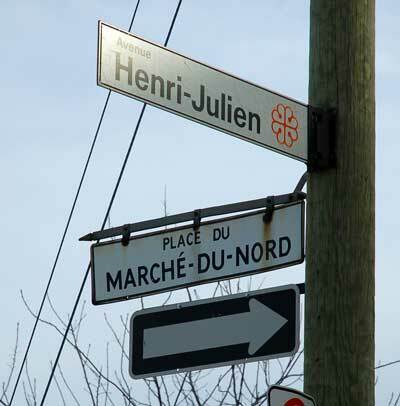 Two Canadian musicians waxed poetic about their hometown of Montreal in hit tunes- Gino Vannelli couldn’t forget “those nights in Montreal” in “I Just Wanna Stop” and for Sass Jordan, it was St. Laurent Boulevard in “Going Back Again”. The one way street has played such an important role in this city that in 1996, it was designated a national historic site. The boulevard crosses Le Plateau, a popular neighbourhood just east of Mont Royal, which dominates Montréal’s landscape. We stayed in the Plateau in an affordable place I found online called the Casa Bianca B&B. Its interior was a bit sparse and I got tired of the fresh danishes for breakfast. They were delicious on our first morning but not six mornings in a row!! Our room was large enough although it lacked some of the nice touches that I’ve come to appreciate in B&Bs, like bed-side tables and good lighting. Still, the place served us well and the price was right. 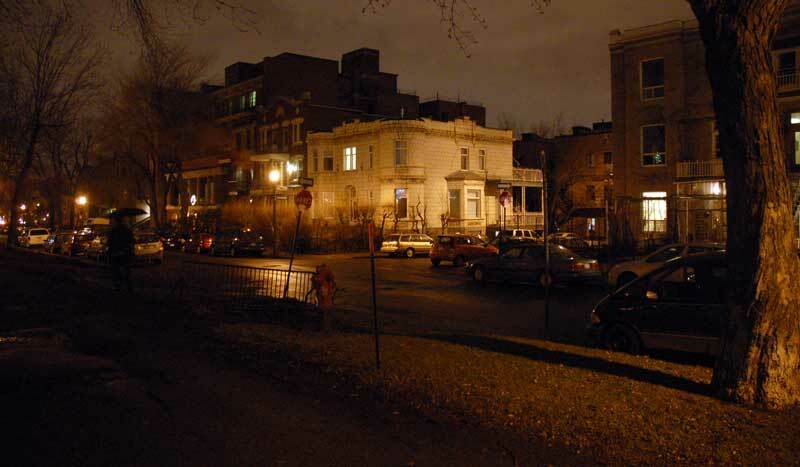 The Casa Bianca is on a quiet street across from a city park which was a good thing because the park separated us from avenue Parc, a busy Montreal thoroughfare. Luckily, there were traffic lights on Parc that allowed us to cross it easily to the lower part of Mont Royal Park which is dominated by a massive monument dedicated to Sir George Etienne Cartier (coincidentally sculpted by a great-great uncle of mine). This park access point is good to know about since Mont Royal Park extends to the top of the mountain and it is a favourite gathering place for Montrealers. Downtown was also easy to get to on foot. If you prefer cycling though, check out Bixi, Montreal’s new public bicycle system. 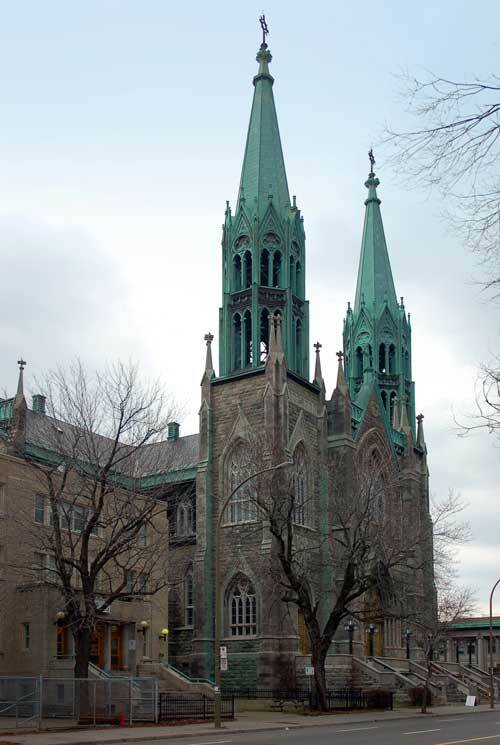 My husband went to high school in Westmount and he was keen to check out his former ‘hood, so we took the Metro, Montreal’s subway, to the Decarie stop and walked back over the mountain through Mont Royal Park, and down the other side to our B&B. Several lookout points along the way gave us spectacular city views and we saw lots of Montrealers enjoying the park and Beaver Lake. We’re big fans of city markets which save us a ton of money on food when we’re traveling. 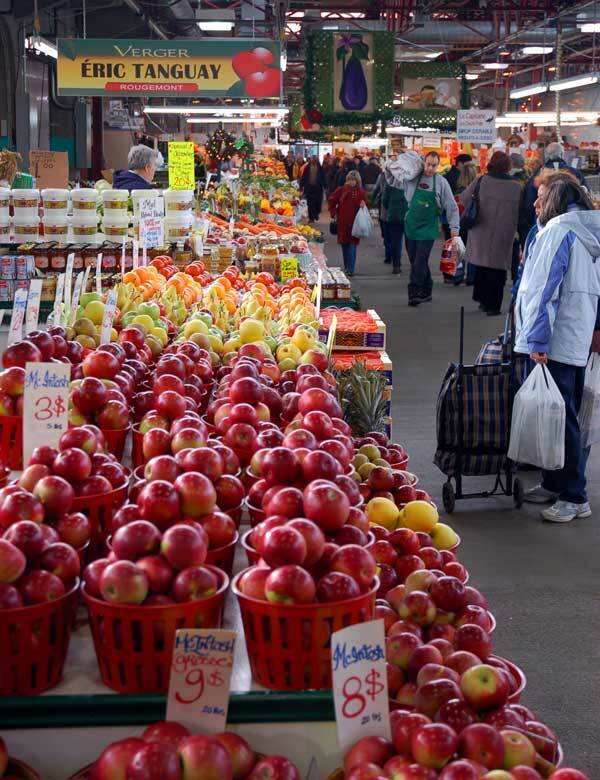 Montreal’s Atwater Market is in the southwestern corner of the city while Jean-Talon Market is in Little Italy, in the city’s north end. Both are well worth visiting. Check out the Tourism Montréal website. sorry for using your comment area to contact you. I didn’t find a contact button, e-mail address or a link to Facebook or Twitter. I’ve just read your comment to the Montreal tip on Traveldudes.org. Would you be interested to share a travel tip with other travelers on Traveldudes.org? 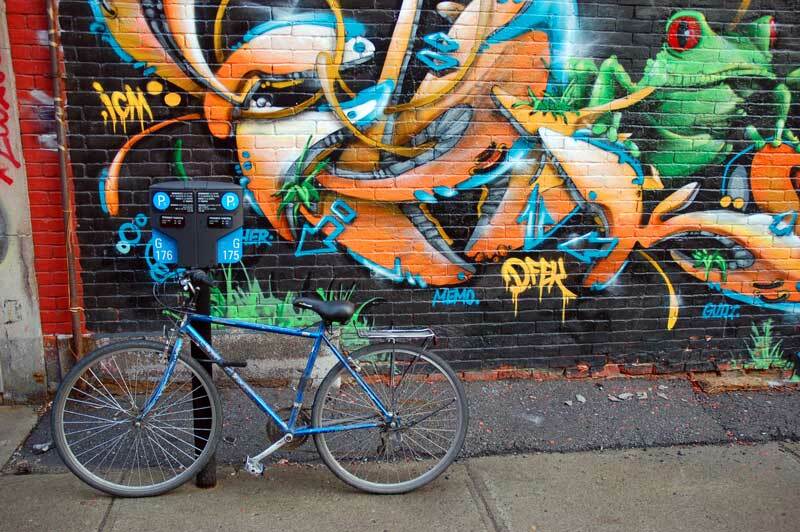 There seems to be no end of great things to do in Montreal. My head’s spinning with all the options! 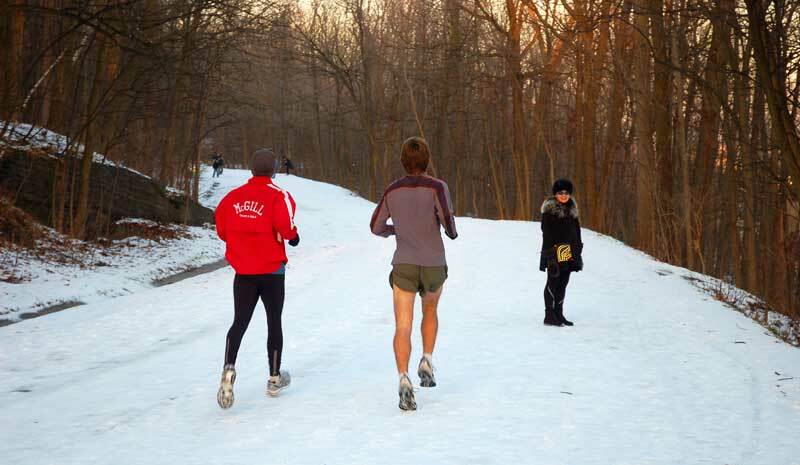 I love the view from Mont Royal and those joggers look brave!